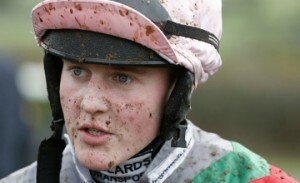 The AJA are pleased to advise that following a request from the AJA to the BHA, the deposit cost for an appeal by an amateur jockey has been adjusted, reducing it to be in line with the deposit cost for an appeal by an apprentice or conditional jockey. 46.1 If during the race a horse is remounted and continues in the race it shall, on an objection to the Stewards under Part 7, be disqualified. 46.2.2 his horse has been examined by a Veterinary Surgeon. 46.3 Paragraph 46.2.1 does not apply if the Racecourse Medical Officer is unable to carry out the examination before completion of the veterinary examination under Paragraph 46.2.2. 46.4 Where a Rider pulls up for any of the reasons listed under Rule (D)45.3, he cannot subsequently re-join the race and must wait in the area where he pulled up until all contenders in the race have passed by and, if the race is a steeple chase or hurdle race, he must refrain from jumping any further Obstacles. 46.5 The horse of a Rider who is found to have contravened Paragraph 46.4 shall, on an objection to the Stewards under Part 7, be disqualified. 46.6 In this Rule Veterinary Surgeon means any qualified veterinary practitioner appropriately registered to practice. 37.1 No Rider may ride in any race unless he is carrying a whip approved by the Authority that complies with the specifications contained in Part 2 of Schedule 2. 37.2 Other than adjustments to the handle/grip, an approved whip must not be modified in any way (for example, by the addition of tape to the flap or shaft). 37.3 No substitute for a whip may be carried in any race. 37.4 A whip approved for racing in steeple chases or hurdle races may be carried in such races or in flat races, but a whip approved for flat racing may be carried in flat races only. 45.1.2 take and be seen to take all other reasonable and permissible measures throughout the race, however it develops, to ensure the horse is given a full opportunity to achieve the best possible placing. 45.2 For the purposes of Paragraph 45.1, whilst it is not necessary for the Rider to use the whip, the Rider must give his horse at least a hands and heels ride. 45.3.3.2 has a problem which is materially affecting its performance. 45.4 Where the horse is lame or injured, the Rider must dismount immediately and must not ride to a finish. 5. The Stewards should hold an enquiry into any case where a Rider has used his whip contrary to Paragraph 6. 6.1 The following are examples of uses of the whip which may be regarded as improper riding for the purposes of Rule 54.3. 6.1.4 without giving the horse time to respond. 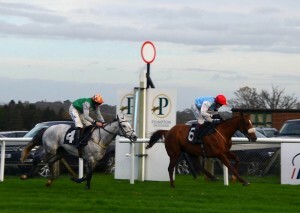 6.1.8 past the winning post. 6.1.10 down the shoulder with the whip in the backhand position; unless exceptional circumstances prevail. Example 4 Using the whip on a horse above the permitted level for frequency. 6.2 Use of the whip may be judged to be improper in other circumstances. 7.1 Horses will be subject to an inspection by a Veterinary Officer after the race. 7.2 A Trainer must remove or adjust rugs or sheets for the purposes of any inspection. 7.3 The Veterinary Officer will report to the Stewards every horse which is wealed or injured. 8. A Trainer must attend any enquiry into a wealed or injured horse trained by him and, in the event of a finding that the Rider is in breach of one of the examples in Paragraph 6, may be liable to Disciplinary Action pursuant to Rule (C)45 (which requires trainers to give pre-race instructions to riders). 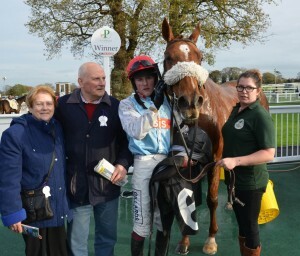 Many congratulations to leading amateur David Noonan on an amazing November which saw him enjoy 11 winning rides including two doubles in a fortnight, one at Taunton last week and another the week before at Plumpton (below) for Neil Mulholland with ASHCOTT BOY in a thrilling finish. Following his recent successes, David said “Its unbelievable, especially the last few weeks, the rides and winners I’m getting. I can’t ask for more. You can’t beat practice and I’m getting plenty of it. I’d like to think I’ve impressed people over the last year or so and they’re giving me opportunities. For David to have confidence to put me up, I get a lot of confident from that and other trainers are watching. I try to watch as much racing and replays as I can and if I’m riding something I haven’t ridden I try to speak to a jockey who has ridden the horse to have a picture built. We wish David every success in his future professional career. 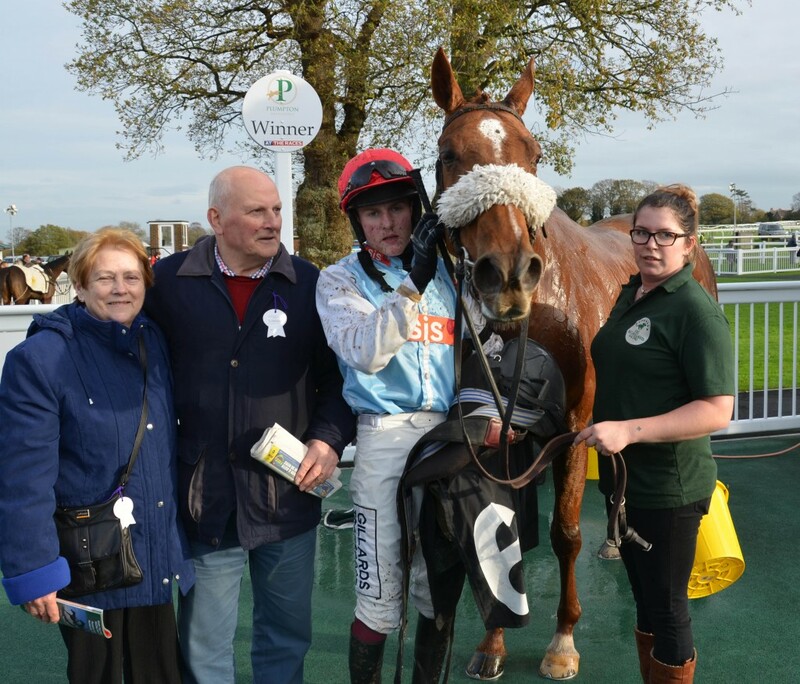 Whilst David awaits his professional licence, he currently holds the leading place in the gentlemen jump jockeys’ amateur championship with an impressive 19 wins so far this amateur season with Stan Sheppard currently runner-up with 7 wins.